The Beller Collection introduces a new natural material to the iconic brand known for five decades as the go-to for full grain leather. Driven by a lifelong fascination with the marriage of nature and technology instilled in his native Norway, Lars Beller Fjetland was immediately drawn to cork. Manufactured with waste material from wine stopper production, the resulting product is 93% recycled cork produced in a waste-free molding process. 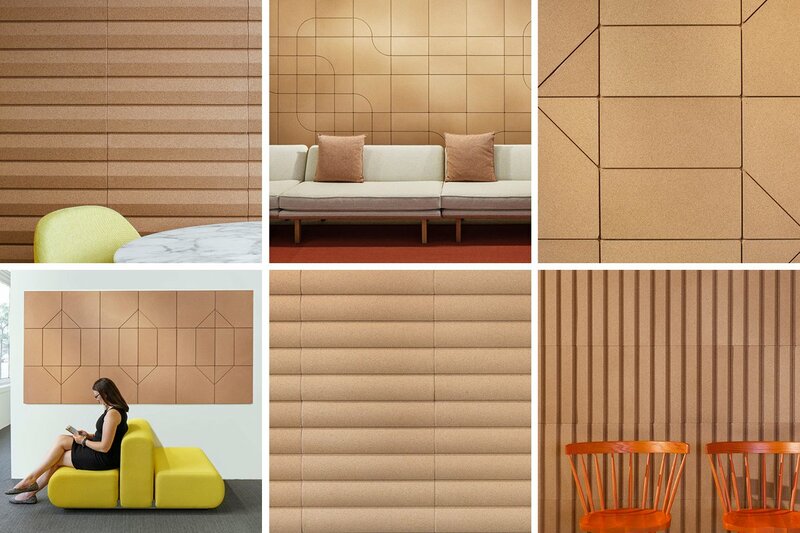 The molded cork tiles of the Beller Collection are flexible too; allowing endless configurations using standard tile designs that add three-dimensional patterning and acoustic absorption. Lisboa and Porto tiles are 1’-4” (40.6 cm) square modules that secure to a unique pressure fit rail system with a gentle push. 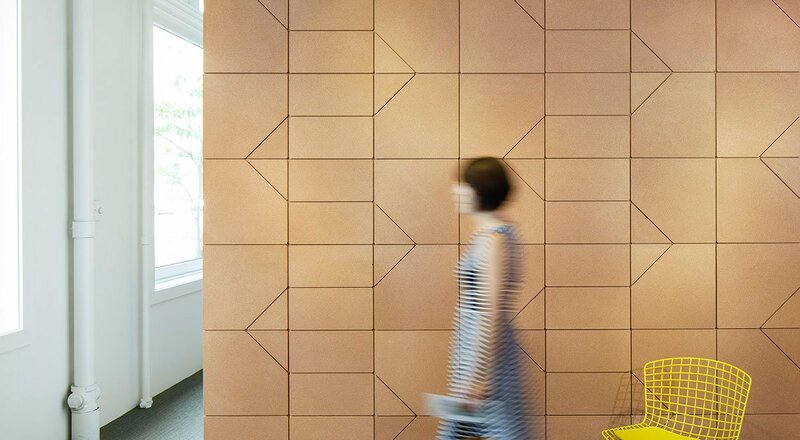 The design of Lisboa tiles takes inspiration from the street grids of its namesake city (Lisbon, Portugal) while referencing the flexible pattern making of Brazilian architect Oscar Niemeier’s ceramic tiles. The five tile designs feature a thin linear reveal in varied locations that combine to create endless pattern options from simple to elaborate. Named after the Portuguese city known for its cork factories, the three standard profiles of Porto are inspired by familiar textures found in factory building surfaces—rounded silos, corrugated metal siding, and saw-tooth rooftops.